Continuing with the Fall color palette theme, our design team would like to encourage you to go monochromatic in a colorful way! 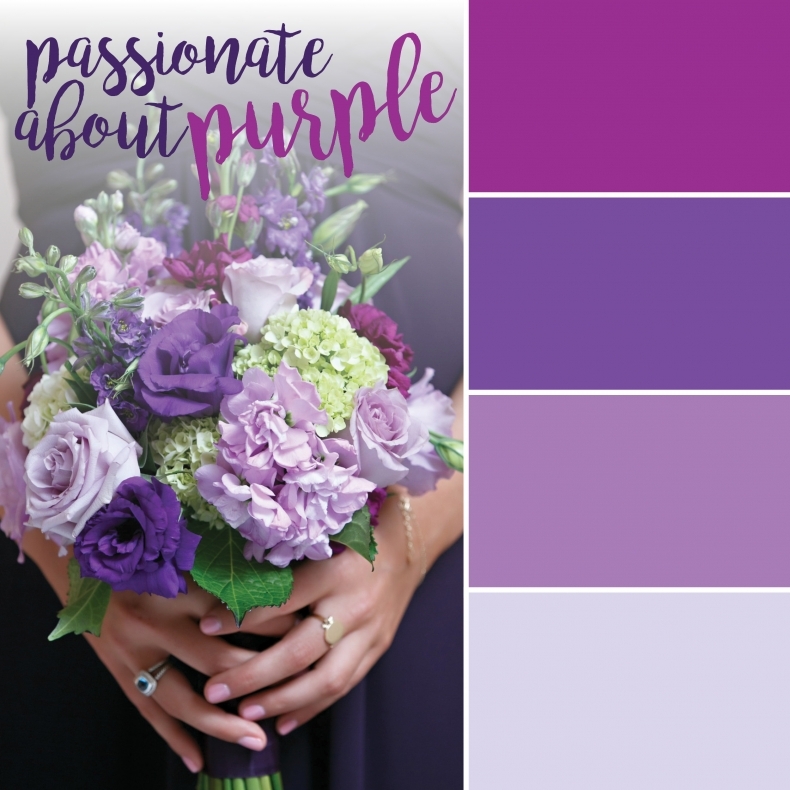 Be BOLD and choose various shades from your favorite color for your bridesmaid dresses, bouquets, centerpieces, and accents! The Tulip team was completely enamored with the chosen color palette for Kate and Barnett’s wedding! Kate’s bridal bouquet burst with the colors of Fall with blooms of burgundy garden roses, quicksand roses, burgundy and ivory stock, champagne spray roses, blue delphinium, purple and lavender lisianthus, purple larkspur, purple allium drumstick, a beautiful mix of greenery, and a touch of stephanotis. We swoon. Today is the Autumn Equinox – the time of year when the sun crosses the celestial equator. In layman’s terms – the first day of Fall. 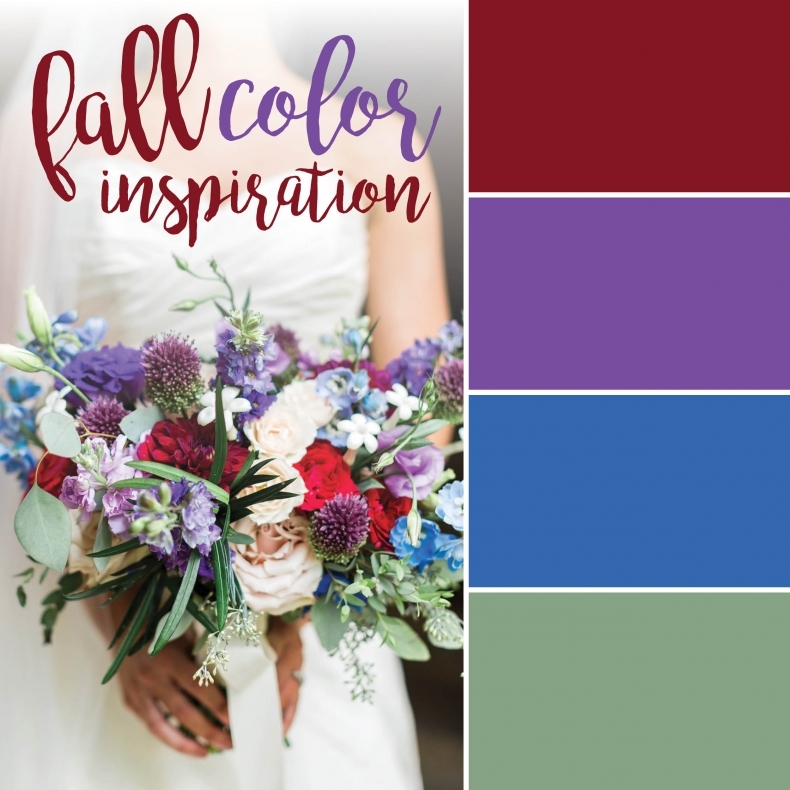 For florists and decor designers, Fall means color! Time to put away the pale pinks; and go bold with deep reds, purples, saturated hot pinks, gold, and deep greens! When we look back on the day we spent with Shelby and Kyle, we get a little dreamy eyed. It was one of our favorites this wedding season – it’s pretty obvious why – and we think of it often, especially as we start inspiration boards for next year. For us, it was the fact that they truly centered the entire celebration around love. Their siblings making up the wedding party and the guest list included close friends and family. Everything at Summerour glowed in soft candlelight, which evoked a wonderful romantic scene amidst a sea of white blooms. A huge part of what made the day incredible was the team of vendors we got to work with. From the hard work by the Summerour team to the gorgeous presentation from Affairs to Remember, the seamless planning of it all by Amy Diloretti and the photos that live to tell about it by Rustic White Photography, it’s certainly something we are proud to have been a part of. Of course, we’re pretty excited about showing it off, too. She described them as so kind that they’ve since snagged a special place in her heart. We know the feeling. 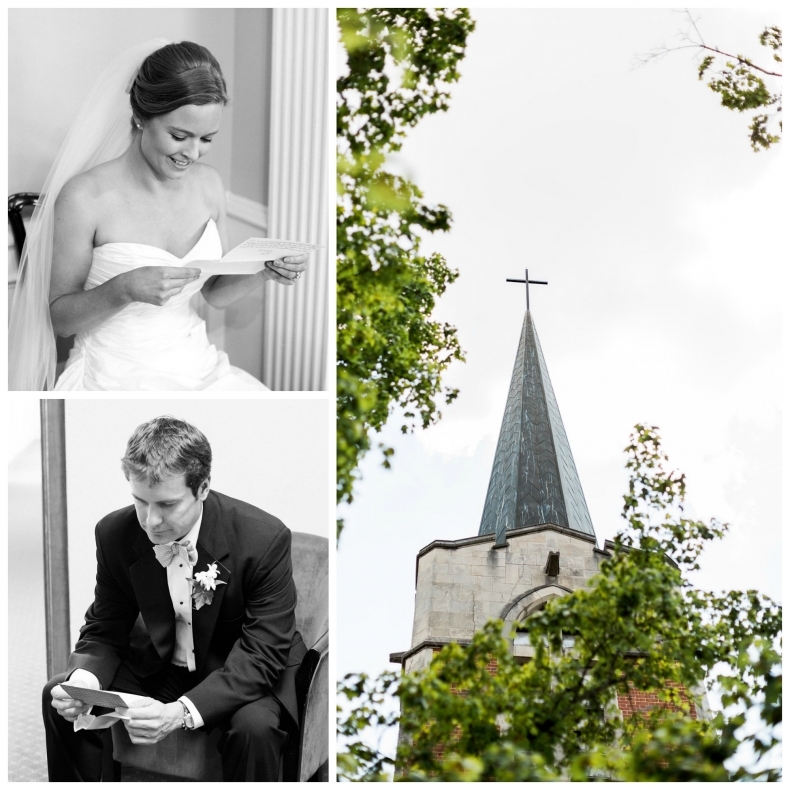 As with a lot of our brides and grooms, we get to know these guys over months of fun, detailed planning. We are in line with Tiffany in this case – planning alongside these guys was honor. Let’s talk about one of our favorite places to work. No, that’s not an oxymoron – we really love, I mean really love doing weddings at The Atlanta History Center. I am sure you can see why … With grand photo ops tucked right into the heart of the city, it’s a fun spot to insert our pops of petals. So, you can see why we’re so excited to share Alison and Chase’s wedding with you guys. This couple portrays an effortless beauty and they’ve got a love story that’s easy, but distinguished, so it made sense that their design taste was just as seamless. Alison’s bouquet (quite literally) blushed with peach peonies, white roses and a mosaic of berries and greenery. We inserted fresh lavender, bunches of Brazilian berries, mini green hydrangeas and more ranunculus from the aisles into the reception. It sounds like a bunch of florist chatter, but using such sweet summer blossoms for a summer wedding creates a magical chemistry that truly justifies how much we’re sharing. Of course, the real chemistry was between Alison and Chase … and no matter how much “florist talk” we can spout, it’s way more fun to see the pictures. Click here to see some more of our favorites!